Eliminating monocultures of aggressive weeds creates space for attractive, biologically diverse, resilient landscapes to grow. EarthCorps staff and crews are continuously trained in species identification and follow industry Best Management Practices for invasive and non-native plant control. 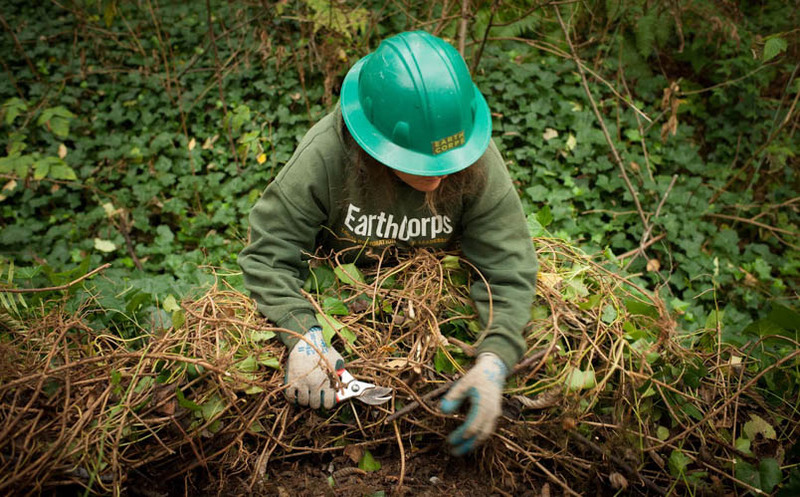 Using an established Integrated Pest Management strategy that ranges from manual and mechanical control, to the careful use of herbicide, EarthCorps can develop an invasive plant control plan that meets your project goals.